Put simply, I am crazy for all things Kiss. They have been a ruling force in my life since I was in school. In that time I have seen the band go through many changes, with many degrees of success or failure. One of the bands best decisions was to bring Bruce Kulick into the fold in the mid 1980s, in my view, this move helped the band stay relevant and fresh during this period. By the mid 1990s the original band reunited for a reunion world tour and Kulick found himself on the outer, but instead of moaning and groaning about it, like so many others would, Kulick remained on good terms with the band and move on, forging a career of his own with John Corabi in Union and as a solo artist. So when a member of the ‘Hottest Band In The World’, current or past, wants to give me a call, that is an opportunity I am going to take. Rock Man: You have had a long outstanding career playing with some of the biggest names in the music industry, could you have imagined your career would take the shape it has? 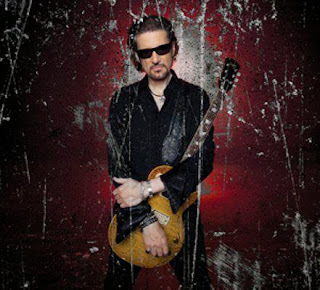 Bruce Kulick: Well you know, the more I go back and look at all the things I have done the more I realize, while I was doing then, of course I was excited and as professional as possible, but I did not realize the impact that all the things, especially the Kiss years, would ultimately have. Even prior to that the dual lead guitars for Meat Loaf and touring the world for the Bat Out Of Hell Tour, you know, when it first came out, I mean that album is still huge and the version of that record you buy now has a couple of live tracks on it featuring Bob (Kulick) and I. So I am very blessed to be a working musician all these years, could I have imagines it? … not completely, definitely not.